The ever popular Portpatrick Folk Festival will take place as usual on the first weekend in September 6th to the 8th 2019. The usual sessions will take place inside (and outside) the participating pubs and it is hoped that a very substantial number of musicians will attend. As with 2017, there are no plans at present to hold a formal concert or ceilidh this year and we will keep you updated if this changes. Most visitors attending the Portpatrick Folk Festival always regarded the sessions and wonderful atmosphere as the main attraction. 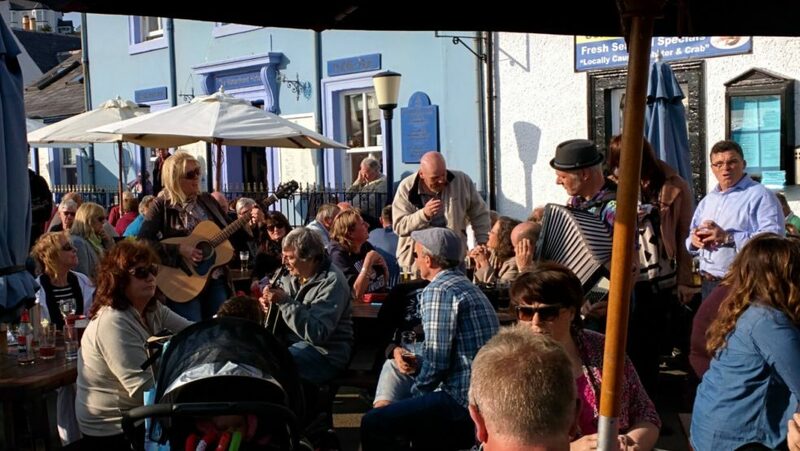 Portpatrick Folk Festival is one of the highlights of the holiday season in Portpatrick and is highly popular with visitors and locals alike.